Increasing use and popularity of robotics and CNC machine tools lead to extensive utilization of industrial motion controllers. The device has broad ranges of applications in industrial environments for automated controlling of position or velocity of machines. We, CTI Electronics Corporation have been designing and manufacturing industrial grade motion controllers for camera motion control, parker motion control, stepper motor motion control and so on. Motion controllers are one of the flagship products of CTI Electronics. Users all over the world have found these motion controlling devices highly beneficial. They increase performance and thus enhance productivity. CTI’s motion controlling devices have been extensively used in aerospace, automotive, medical, surveillance, military applications. 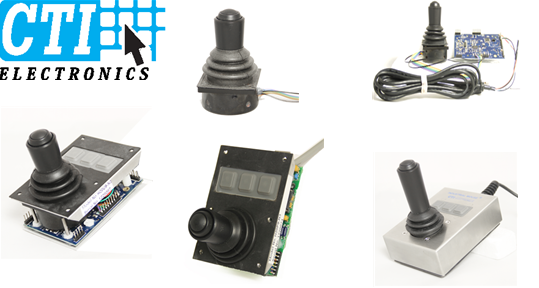 We recommend purchasing these high quality industrial motion controllers for applications in harsh and critical industrial environments. Rugged and robust design offers excellent performance in extreme temperature conditions, varying humidity and in the presence of dust, moisture and other abrasives and chemicals. We can customize your orders as well. We are experts in making customized design sticking to the exact design specifications of customers. We can integrate the device to other automated processes, which result in smoother movements. Similarly, many different options are available to make the product unique and well suitable for your specific projects. We also provide accessories for smooth operation. We offer M2000 - Industrial Motion Controller Holder to facilitate easy mounting. By purchasing CTI’s industrial motion controllers, you are playing your role to better the environment. Repairing out of warranty items on a "flat rate" basis. Get a CTI industrial motion controlling device today for increased consistency, improved efficiency and excellent performance.